Gastão da Cunha Ferreira Until 1975 Gastão da Cunha Ferreira has worked with Arch. Sena da Silva, Arch. António Teixeira Guerra, MC arquitectos and Arch. Carlos Ramos. Moved to Brazil in 1975 having worked with Arch. Luiz Paulo Conde in Rio de Janeiro and with Arch. Joaquim Guedes in São Paulo. Also in Brazil, joined as partner the Gabinete de Arquitectura Urbanismo e Planeamento - GAUP in 1980, and founded GF arquitectos, Lda in 1983. Was also a partner of Imparque S/C Lda and of Intermart S/C Lda Viability and Design Consultants, having projects in Brazil, Uruguay, Argentina, Chile and Panama. Gastão has returned to Portugal in 1986 and joined the MC Arquitectos as partner. He has lectured both in academic institutions and professional fora, namely in the School of Architecture of Lisbon Technical University. He also has completed a post-graduate course in management (Universidade Nova de Lisboa, 1991). Professional scope includes consultancy and project concept design, project planning, project coordination, project management and research. He has a large experience in multidisciplinary team coordination, both in Building and Urban Planning. As author or co-author with commitment to conceptual design, coordination and management, the range of professional experience includes the global planning end project of new towns and large scale and complex projects such as airport facilities, hospitals, administrative and multi-purpose buildings, among others. Has held several executive and managerial posts both in professional and non-professional organizations and has served as member of the Board of Fundação Luso Brasileira in Portugal and CEO of AM Br in Rio de Janeiro, Brazil. With a particular interest in golf, Gastão has coordinated various projects with golf infrastructures, and is adviser to the Federação Portuguesa de Golfe. He is a founding member of Clube de Golfe Arquitectos, having assumed various executive posts. 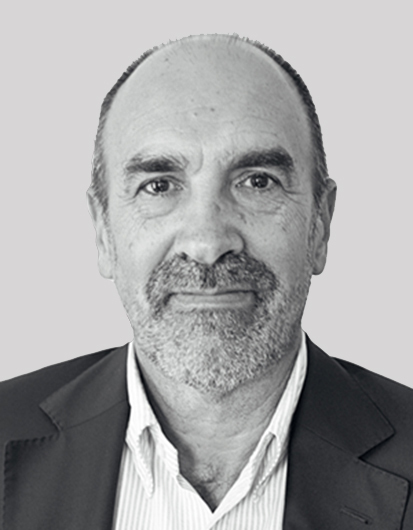 Gastão is in the consulting business for 32 years, and joined CBA in 2014 as Professional adviser for projects in connection with Architecture, Urban Design, Project Management and Coordination, Architectural and Urban Program Design. Gastão joined CBA as Consulting Professional in February 2015.